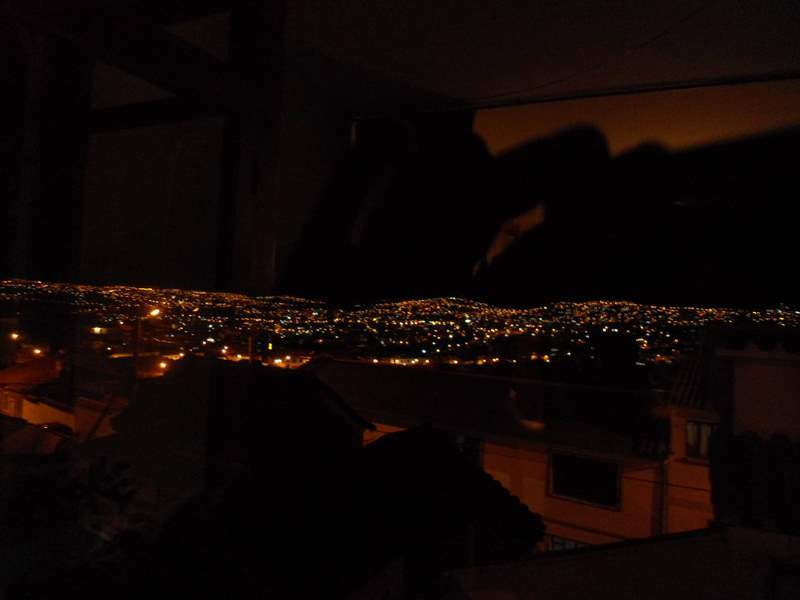 Our first week in Bolivia has certainly been an interesting – if relaxed – one. Having flown into Santa Cruz in the east of the country, we spent a couple of days wondering around this, the largest city in Bolivia. With over a million people, it was quite a change to the Pantanal and looking back we realised that we hadn’t actually been in a city of considerable size since Buenos Aires. The city itself was not the most exciting for a tourist (particularly considering the fact that we didn’t manage to find two museums, the other two we looked for weren’t open and the park we went in search of turned out to be a concrete jungle with absolutely no shade!) but it was certainly fun to be in a new Spanish speaking(!) 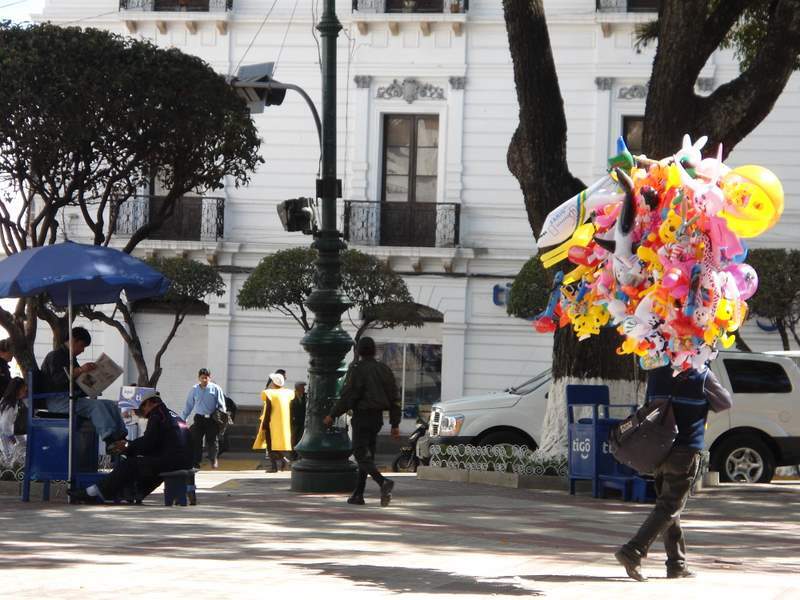 country and seeing lots of people in more traditional dress, enjoy the colonial plazas and eat some delicious food. In fact, the highlight may be our hotel. I know it sounds ridiculous but we soon realised how far a GB£ goes in Bolivia and our hotel (costing the same as hostels in Brazil) was sheer luxury. Nonetheless, we were eager to head toward our next destination, Sucre. Known as “La Ciudad Blanca” – the white city – due to the stunning white facades of the numerous streets of colonial style buildings. Although we weren’t expecting the same kind of transport as Brazil & Argentina, it didn’t make the journey any more pleasant…the journey took 17 hours rather than the advertised 13 with children asleep all along the aisle floor, no toilet, and all on unpaved road, I think we managed about 3 hours of sleep between us. But we arrived in good spirits, just relieved that we’d made it and could now walk again. The bus station was equally haphazard but we jumped in a taxi and off we sped up the hill to our guesthouse, Casa Al Tronco. The hostel is in an area called Recoleta and when we arrived our room hadn’t yet been vacated so without further ado we were urged by the eccentric owner towards a coffee shop for half an hour to grab some breakfast before we fell into bed. It was only then we realised what a stunning location we were in. The coffee shop was just past a plaza of one of the churches under a magnificent viewing “mirador” across the entire city with the terracotta roofs, white facades and hundreds of churches gleaming back at us. We had a 3 course breakfast with fresh juices, eggs & bacon and some slightly unusual but tasty additions like beetroot and radish and went back to the hostel to sleep in our room that had a 180 degree panorama of the city. That day we (for obvious reasons) didn’t do alot but over the next few days we realised how fortunate we were in our timing of our visit to the city. 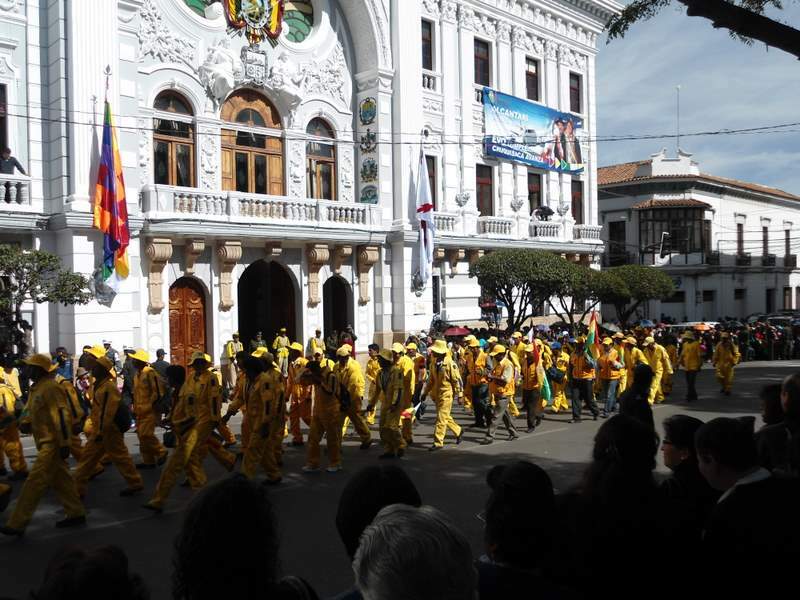 The 25th of May is Independence Day in Bolivia and it was declaration was signed in the city of Sucre itself. And here we were confronted with dozens of street processions, fireworks at night, parties and dancing in the plazas and a huge parade on the day itself. It was absolutely stunnning. 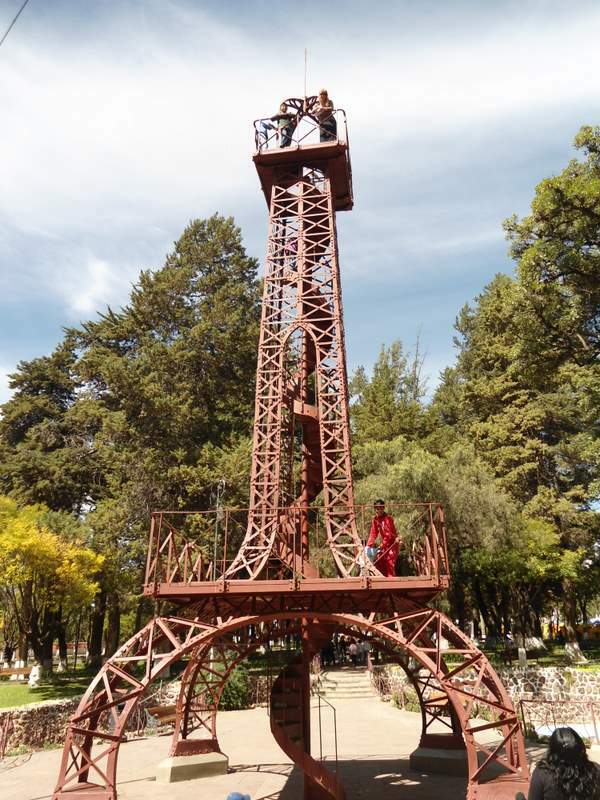 We also managed to fit in a trip to the mini Eiffel Tower (suprisingly high and suprisingly wobbly! ), a phenomenal museum of masks that had been collected from around the region and several trips to the central market which is a feast on the senses – every kind of fruit imaginable (and a few more to boot), chicken feet, half a cow, tasty empanadas and every kind of household item you could ever possibly need. On our last day, we headed off the the “Parque Cretacico” – working quarry just outside the city which contains the largest collection of dinosaur footprints in the world. We are now sitting at a lofty 4050m in Potosi and trying to take it easy…though with this altitude you don’t have alot of choice!